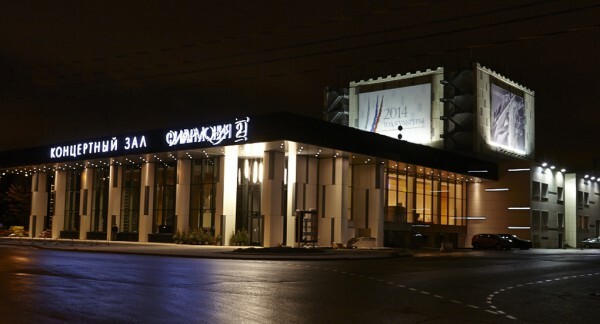 Concert hall in the "Olympic village" was opened on 23 December 2014. It got its name by no accident: from now on, the "Philharmonia-2" is one of the top-priority locations in the concert activity of the largest and most respected manager in the field of classical music in Russia: the Moscow state academic Philharmonia. It is symbolic that the new hall of Philharmonia opened its doors to listeners on the eve of the 175th anniversary of the birthday of Pyotr Ilyich Tchaikovsky, because the main Philharmonia stage – Concert hall named after P. I. Tchaikovsky – took the first flow of its faithful audience in the year of the 100th anniversary of the great Russian composer. Shortly after the opening of the "Philharmonic-2" the hall was named after Sergey Rachmaninoff. The auditorium is designed for 1040 seats.